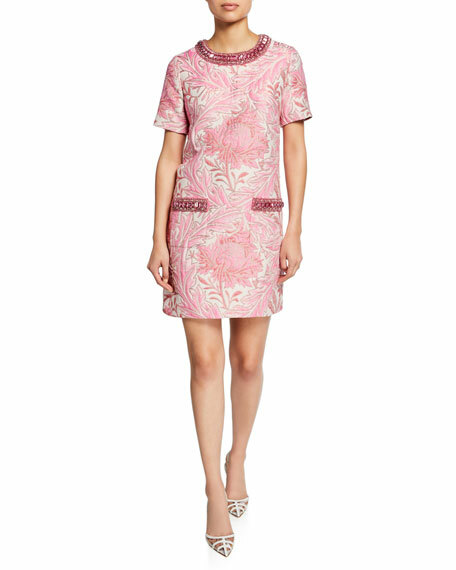 Oscar de la Renta dress in floral compact knit. 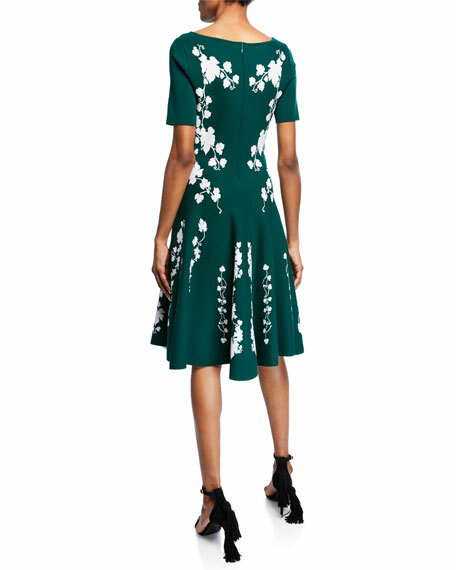 Andrew Gn dress in floral jacquard, featuring jeweled trim. Crew neckline. Short sleeves. Hip patch pockets. Shift silhouette. Back zip. Cotton/polyester/silk/Lurex metallic fiber. Lining, viscose/polyester/spandex. Made in Italy. Exclusively ours. 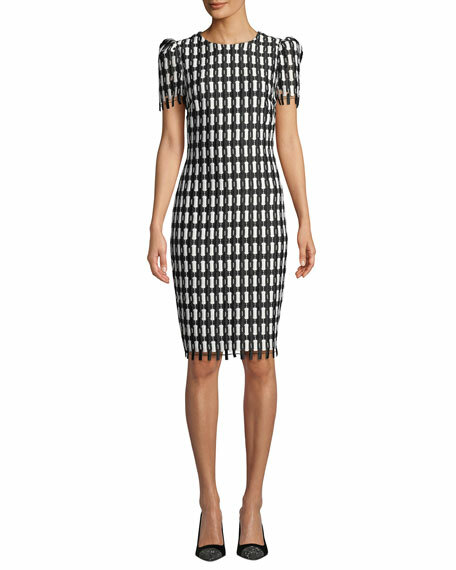 Badgley Mischka Collection modern checker-style cocktail dress. Jewel neckline. Short sleeves. Sheath silhouette. Knee-length. Straight hem; vented back. Concealed back zip. Polyester. Imported. Exclusively ours. 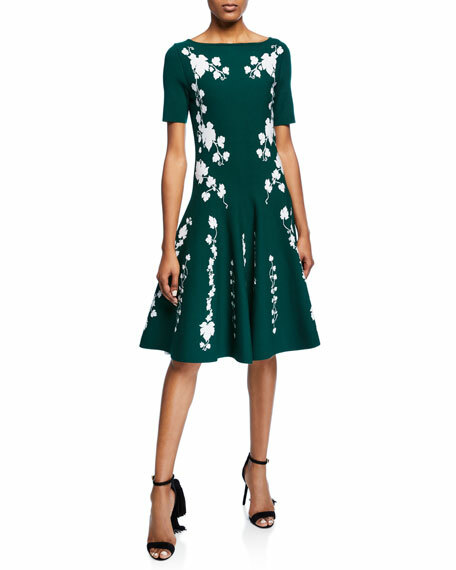 Marchesa Notte metallic floral embroidered cocktail dress with beaded trim. 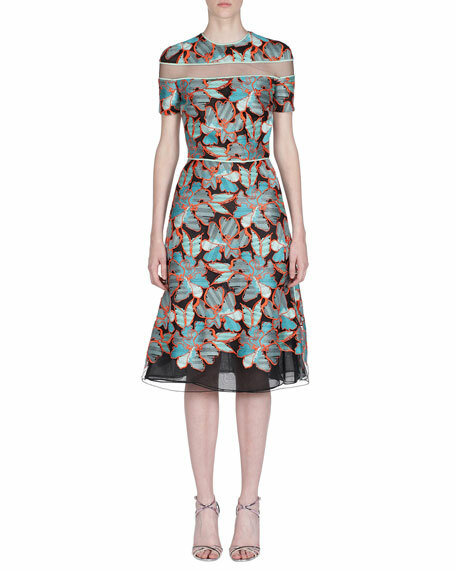 Bateau neckline. Short sleeves. Beaded waistband. Sheath silhouette. Midi length. Straight hem. Vented back. Hidden back zip. Polyester/metallic. Polyester embroidery. Imported.